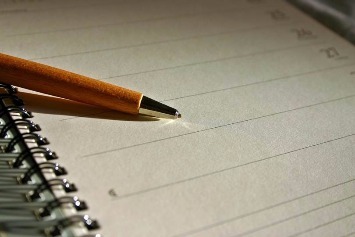 The objectives of the conference were to: identify the reasons for the low level of civic and political participation of Roma, such as discrimination; identify possible solutions to improve Roma’s political and civic engagement and exchange good practices and energise Roma across Europe to vote during the European elections. Present at the conference were representatives of the European Parliament, European Commission, national authorities, international organisations, ERIO network members and Roma civil society. 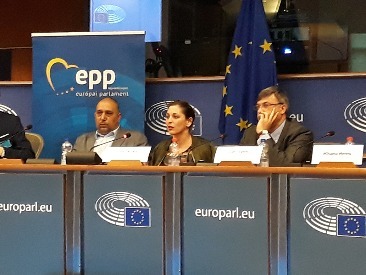 Key speakers included European Parliament Vice-President Lívia Járóka, MEPs Csaba Sógor and James Carver and ERIO’s Executive Director Ivan Ivanov. Lívia Járóka (European Parliament Vice-President) raised the issue of anti-Gypsyism as a very important phenomenon that needs to be tackled. One way of doing this is by integrating the poor by taking concrete steps in education and employment. If employment is provided for everybody, it would be easier to fight anti-Gypsyism. Moreover, role models are needed for the Roma, which would help branding Roma politically and socially. MEP Csaba Sógor noted that the Roma’s living conditions can be improved by combined social, political and economic strategies. Although measures can be taken to improve the situation of housing, employment and education of Roma, they cannot be taken to increase meaningful participation. The degree of participation varies by communities and countries. Roma are largely invisible in decision making and mainstream parties should speak up on behalf of the Roma. MEP James Carver was the first British Roma to be elected for the European Parliament. Even as a Eurosceptic, he is proud of his family roots. He went on to say that many Roma, just like every part of society, have different political views. “We have MEPs representing 4 different political groups. We should recognise that Roma have different perspectives.” According to him, racial discrimination against Roma is the last form of acceptable racism and the way we can fight it is through political participation and by letting mainstream society understand how important the Roma vote is. 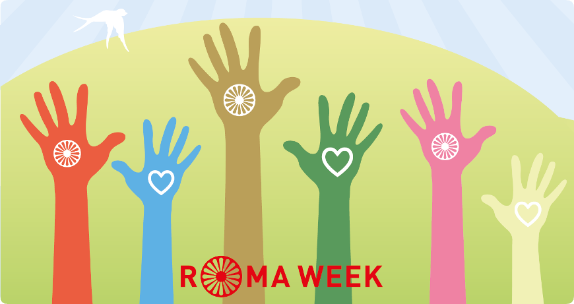 Ivan Ivanov (ERIO Executive Director) observed that it is not enough to discuss the serious social problems and anti-Gypsyism Roma face only during the few days of the European Roma Platform and the Roma Week. This is a common European problem of the most deprived and disadvantaged Europeans. This is why Europe should talk, strategize and take actions all the time. The past ten years focused on different policies at EU and national level but Roma’s active and equal participation in political processes was not given much attention. This is why ERIO is putting the question of political participation in the discussion table as way to eliminate anti-Gypsyism and empower Roma who are too dependent on the political will of non-Roma politicians not interested to improve the Roma rights situation. In today’s political environment, it is no longer an option for politicians and policy makers to ignore the rising anti-Gypsyism. It is no longer an option for Roma to wait for decision-makers where they are not represented to solve their problem. Roma should use their basic right to vote and be elected, a right given by the state constitutions they live in and international human rights law. On December 15 and 16, 2017, ERIO organized an advocacy training in Rome, Italy. The training gathered together young Roma activists from all over Italy. The aim of this training was to build capacity and skills among young people. Among the skills taught were the ability to advocate for their rights and equal treatment; have their voice heard on matters linked to their integration; be able to defend their basic rights and participate in consultations with decision-makers on the design and implementation of policies concerning their equal access to different fields in society. Another objective of the training was to prepare young Roma to cooperate with other civil society organizations as well as local authorities and policy makers in the design and implementation of Roma related policies and programs. Roma will therefore be able to actively participate in the implementation of the National Roma Integration Strategies (NRIS) and of the Council’s recommendations. At a local level, the training will also empower Roma in anti-discrimination and social inclusion policies. How to develop efficient advocacy strategy to communicate with the proper institutions is key in the empowerment of young Roma. 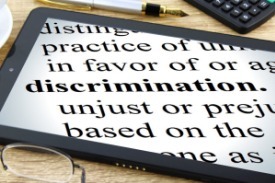 The training also focused on the EU anti-discrimination legislation such as the Race Equality Directive and the Framework Directive including practical tools on how to identify indirect discrimination and file complaint to the responsible bodies. A special session was dedicated to the access and management of EU funded projects. The knowledge and skills received by ERIO network members enabled them to assist Equality bodies to register discrimination cases within the Roma communities, to assist local authorities to overcome barriers making the implementation of the NRIS less effective as well as to assist community members who are victims of discrimination to contact anti-discrimination institutions.